Our 5' Christmas Angel holds a dove symbolizing peace. 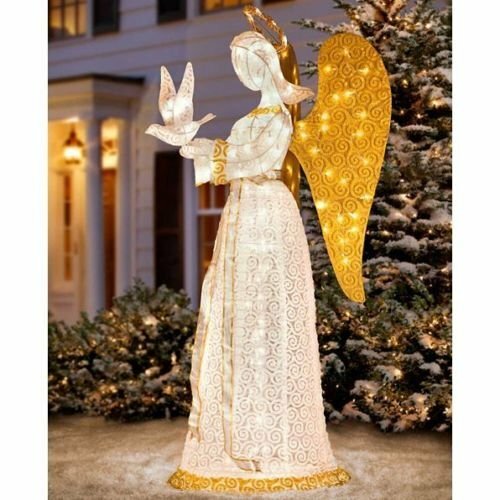 The Christmas Angel with Dove is also charming by day, with a gold-trimmed white sash around her waist. Although she looks delicate, this Christmas angel is designed to withstand snow and wet weather. The Christmas Angel with Dove collapses easily for storage.